Alvaro Morata has been challenged by former Atletico Madrid striker Kiko to prove he has the metal to play for the club. 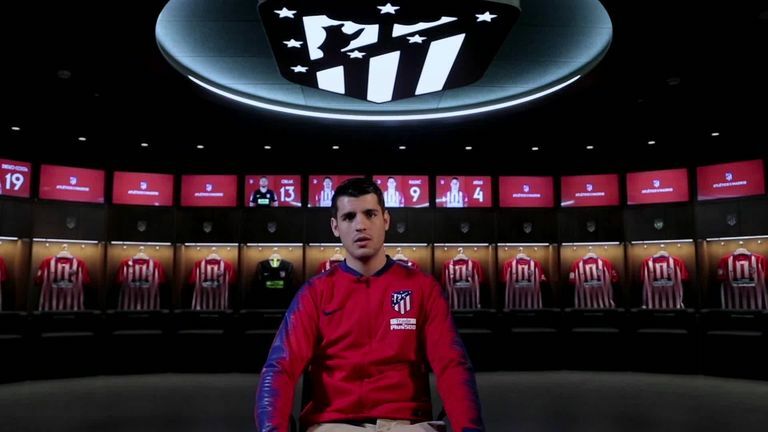 After a lengthy pursuit driven by Atletico boss boss Diego Simeone, Morata eventually sealed a 18-month loan return return to the club where he began his youth career. Atletico legend Kiko is a fan of Morata's talent but insists the Chelsea striker must toughen up in order to succeed at the Wanda Metropolitano. "He has what Cholo [Simeone] wants from his strikers for Atletico's game, with good positional play and ability with his back to goal," Kiko told Cadena SER. Alvaro Morata said he wants to regain his confidence after completing his transfer from Chelsea to Atletico Madrid. "With Juventus, he also demonstrated that he can play in space and is mobile. "I do only see a small hole with him and that is that in the face of adversity, he transmits weakness. "At 26 years old, in the face of adversity, he has to work, work and work and we should hear him complain a little less."